General Secretary, Trade Union Advisory Committee to the OECD (TUAC). 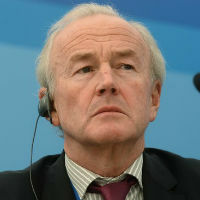 Former: Research Officer, European Trade Union Institute (ETUI); Industry Secretary, International Federation of Commercial, Clerical and Technical Employees (FIET); Economist in the Economics Department, Trades Union Congress (TUC). Member of the Board, Global Reporting Initiative; Member, Helsinki Group.